It was the summer of 1959, I was eight years old. I was out behind the four room clapboard cabin that was my home. That cabin was torn down for kindling over thirty years ago but in the center of my soul it still is home. 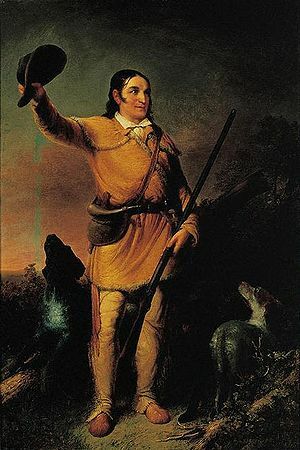 At the time I was up in the trees at one of my forts as Granny Brogden called them, and I was deeply involved in helping Davy Crocket battle somebody over something. Leave it to say, I was a kid who lived a lot in my own head and that was perfectly all right with me. 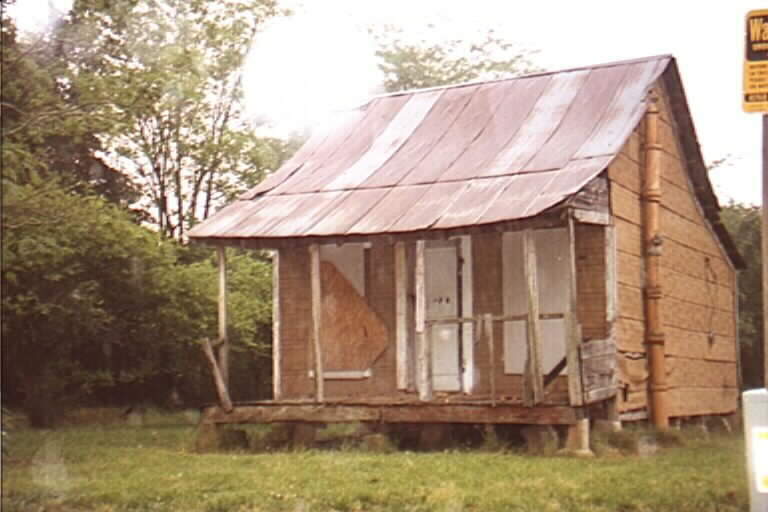 My father and mother had divorced many years before, and I was living with my Grandparents on the home place. Up the hill lived my Great-grandmother Granny Brogden. Those three were the foundations of my life. Daddy was a hero far away doing hero things in an Air Force Blue uniform. He visited once a year or so to take me to places no one else could afford to go. It was all pretty cool; I won a lot of “my Daddy is” sessions with the other boys. Defending the world from Communism easily trumps selling hardware for a Dad occupation. But in actual fact, my father was as irrelevant to my daily life as that tall spare gentleman I saw playing golf on the TV: Eisenhower was his name. Like Daddy, he seemed nice enough. My mother was the most beautiful woman in the world. That is not arguable. However, she seemed to be a very busy person, cocktail waitressing in Daytona Beach Florida, where she met lots of celebrities. I have signed pictures of Fire Ball Roberts and Junior Johnson, they are from Carolina too, you know. I mostly lived with Grandpa and Grandma. From the perspective of adulthood, I know I was supposed to be deeply scared by this abandonment and perhaps I was. If so the wounds were quick, deep, and almost completely painless. Why? With Mom, I lived in an apartment in Florida, with the occasional trip to a beach, which was kind of fun, or the park with trees and such. At Grandma and Grandpa’s, I got to live within walking distance of the Great Smoky Mountain National park, in a cabin with outdoor plumbing, and a mountain spring whose water was always cold on the hottest day. Or perhaps the reason I was not overly bothered by being “sent home” might have had more to do with Grandma’s biscuits and molasses being better than light bread and pimento cheese, or that waking up safe in that little room hearing that old man snoring just across the way was some comfort, but I will stick to the Crockett story. That morning, I was well away from prying adult eyes, helping Davy save America when I heard Grandpa’s truck horn blow. There were various signals for me to come home. The truck horn was the sign that we were going somewhere. Davy would have to get by on his own for awhile. I set off down the mountain at a full run and was in the yard shortly. Grandpa waited across the spring branch at his truck, and Grandma was at the back door. “Give me that thing and put on these shoes.” She said, that “thing” as she called it was an old corduroy shirt that had belonged to my Uncle Charles. It hung to my knees and was my “hunting shirt” just like Davy’s. After I was fit for town Grandma hugged me and told me to be good. Wearing my town shoes, I thumped across the spring branch on the two board bridge, ran around the truck and crawled up in the seat of a 1954 Chevy pickup truck. It was green like Army trucks, and huge. It clanked, rattled and roared but it never quit and it never refused to go anywhere Grandpa pointed it. Once in the truck, I learned that we were headed for Mrs. Alley’s store at the head of Hyatt Creek. I was overjoyed. Mrs. Alley’s store was better than anything in town, except the Western Auto. The only reason Western Auto could beat her out was that the Western Auto had real guns. Nothing trumps real guns. Mrs. Alley had everything else, because Mrs. Alley’s Hyatt Creek Grocery was a general store. Mrs. Alley dealt in barter or credit and cash, for the precious few that had any. She sold about everything a body could want, she even sold stuff other folks brought in for a part of the price. Mrs. Alley also sold homemade “Who Hit John?” from behind the counter, and had some form of game going on in her backroom. These two revelations came with adulthood, I had no interest in why men went into the back room or what was in those Mason Jars. My concerns were those seven and a half inch Coca Colas: the short Coke was always better than the tall one, we referred to them as “Dopes”, and the display of knives. In a case by the counter where Mrs. Alley stood guard behind her register, was a display of knives. Some were skinners or hunting knives, but most were pocket knives. With the suppressed passion, only a boy could muster, I coveted one of those pocket knives. 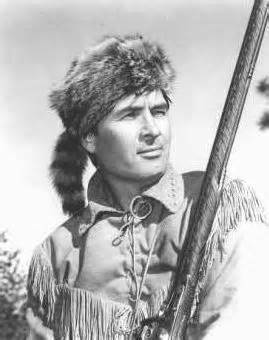 I, Davy Crockett’s unsung side kick, did not have a knife. Grandpa had a knife; he had a few of them. In his tool box was a single bladed, oiled, wood handled folding knife made by Camilus, in his tackle box there was a three bladed knife made by Case, in his gun cabinet,a hunting knife, hand made from a file, and, of course, there was the Seneca bone handled, two bladed knife that rested every day in his right hip pocket. When I needed a knife for a project, or while hunting or fishing Grandpa would always provide it. 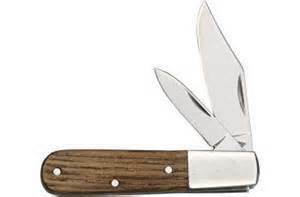 Once, while camping with the Royal Ambassadors from the Green Valley Church, he had loaned me his hunting knife which I wore strapped to my waist just like Davy himself..
As some dream of riches, some of love ,and others of power I dreamed of a Barlow two-bladed knife. Barlow knives date back to the late seventeenth century, coming out of Sheffield England to take the frontier Americas by storm. 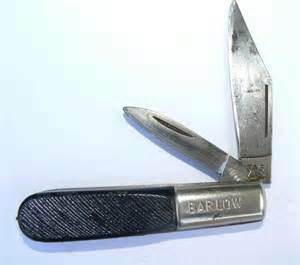 It is said that George Washington himself carried a Barlow style knife. I knew none of that at the time, nor would it have mattered to me, I dreamed of Barlow’s legendary toughness and its price not its pedigree. A Barlow knife out of Mrs. Alley’s display cost fifty-seven cents. Its closest competitor for price was a Cutler knife for ninety-nine cents. Fifty-seven cents was more than I could pay while ninety-nine cents was more than I could conceive of. Had I a Barlow knife of my own, then I would be a man. With such a knife, I could make or procure everything needed for my family to survive and, on top of that, sit next to Grandpa on the porch and whittle sticks into points for no reason on Sunday afternoons. I turned on my heel, trotted to the big chest drink box, opened it with some effort, found us two Coca Colas, popped them open with the opener attached to the drink box and brought them back; one for me and one for Grandpa. He grinned down at me and took a sip. Turning back, he picked up his poke and we headed out the door. I was crushed. How had it come to this? He never seemed to be much concerned with my using his knife, after he had taught me to cut away from myself and take care with it. But there was only one answer. “Yes sir.” Says I as I slumped down there in the seat. His big old brown calloused right hand came over in a fist and laid there on my knee. Slowly the fist opened, “Anyway you are likely gonna want to be usin this one.” In his hand was a brand new Barlow knife. Slowly I reached for the Barlow, as if I feared it would disappear or he might close his hand and laugh at me. Neither happened. With reverence, I lifted the knife in my hand then I just sat there and looked at it. Many years later, while looking through a Lehman’s catalog, I found that they were selling Barlow style knives. I told Connie this story, and what having that knife had meant to me. I would lose Grandpa in less than two years from the time he gave me the Barlow, and I would lose the Barlow somewhere in the moving that followed, along with so much else. But I would never lose what it meant to me. There is an old southern saying, “A man is not a man until his father tells him he is.” My father, for reasons that date back to his childhood, never had the authority to make that pronouncement in my life. But Grandpa did it with a cheap knife. After I told Connie the story, I had pretty much let it all sink back into my past. The next Christmas I found a small package. Inside it was a Barlow style pocket knife. It is in my right hip pocket as I write this. You just gotta love a woman like that. Author’s Notes: First apologies for the lateness of this post. I wrote this and in transferring it to outside storage lost it, and several other pieces of my writing. It took a couple days of searching to admit I had blown it, and a couple days of beating my head against the wall before I could sit down and re-write it. I hope it is worth the effort. The picture of the cabin is not the one we lived in. I doubt any existence of that old place.